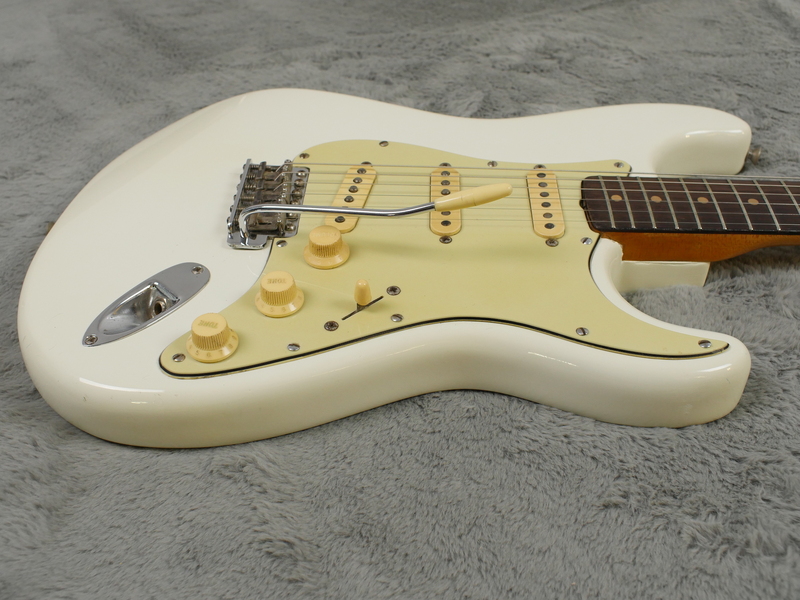 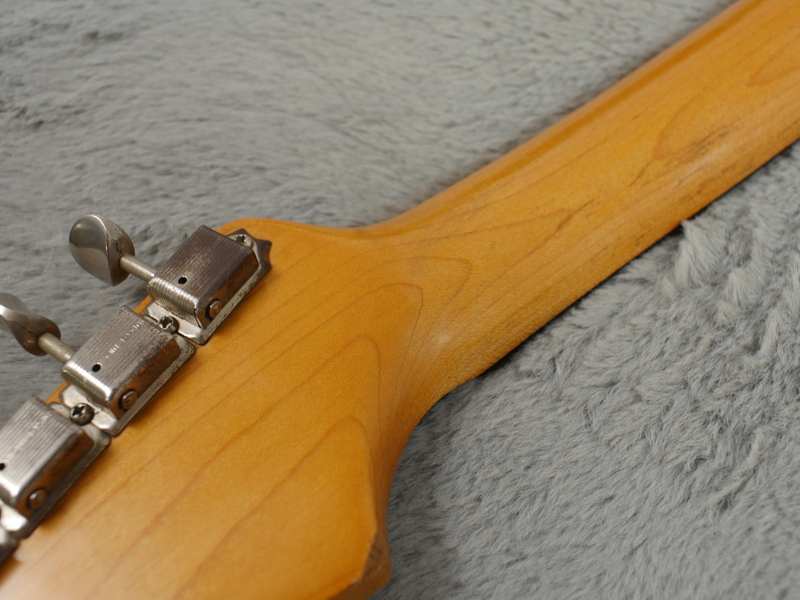 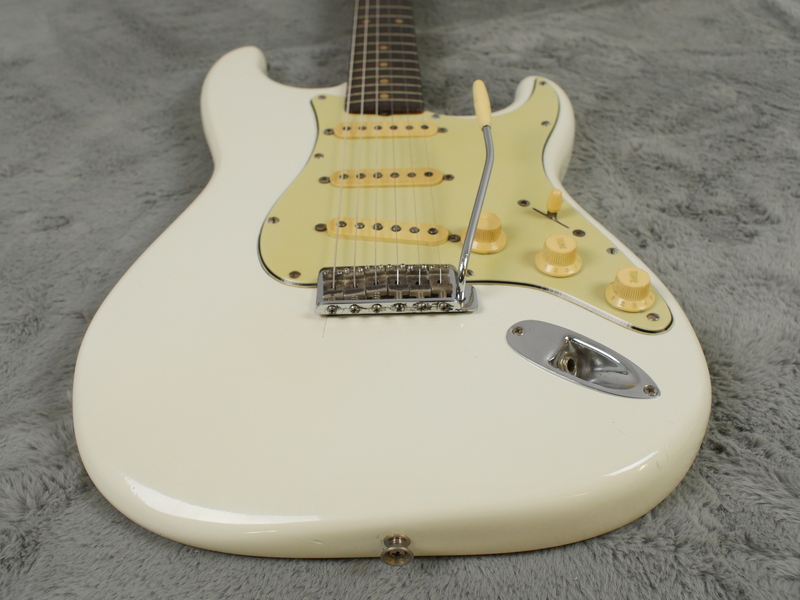 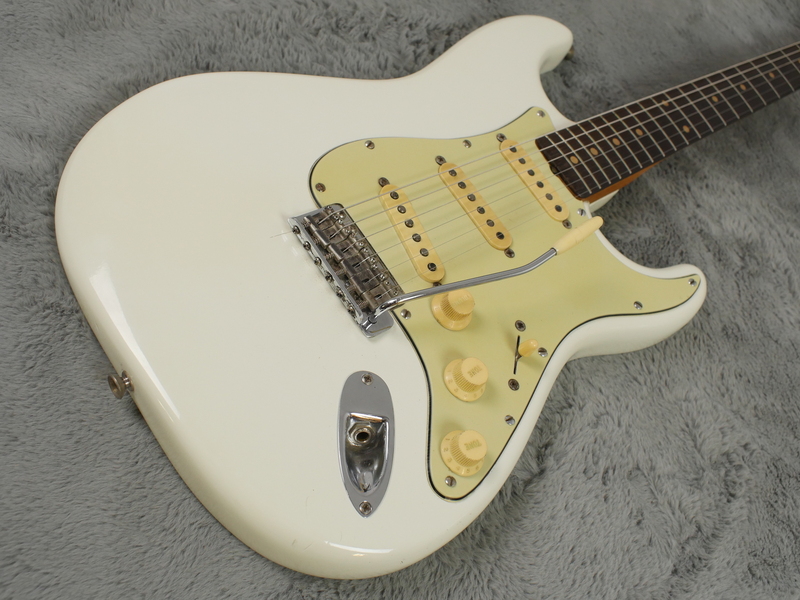 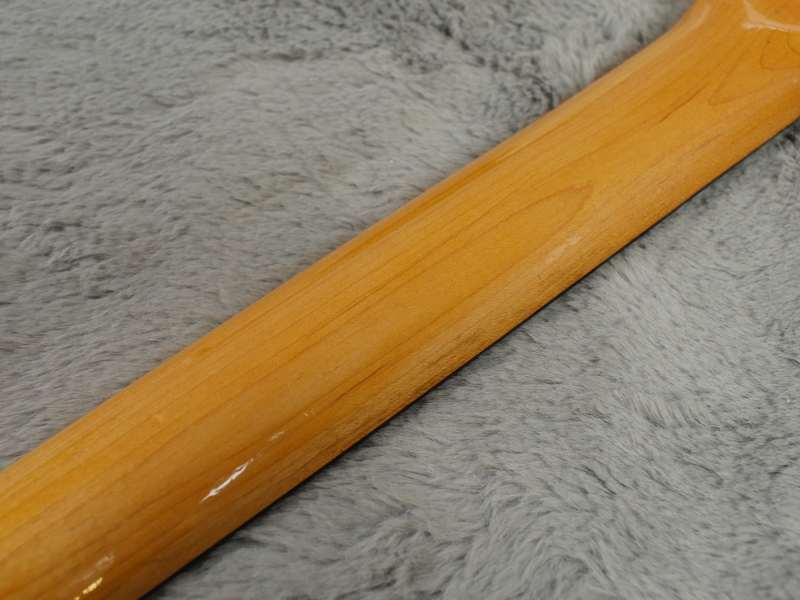 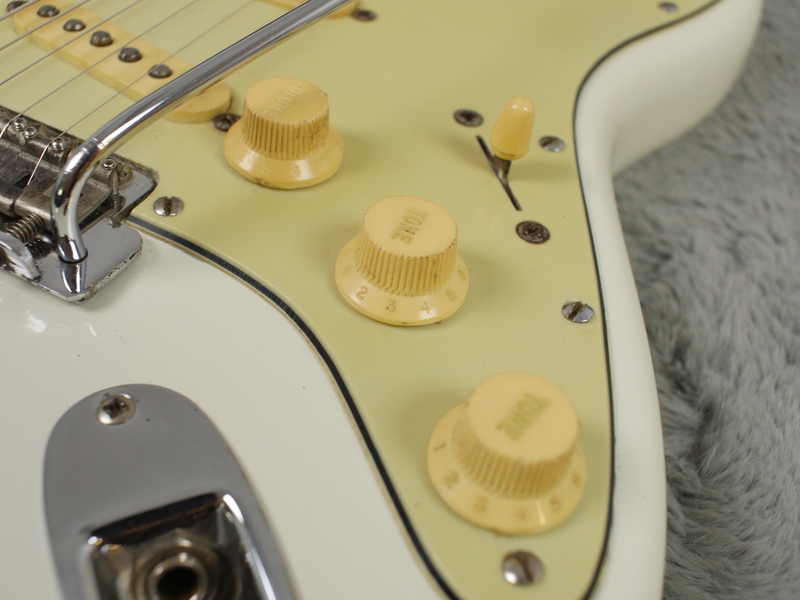 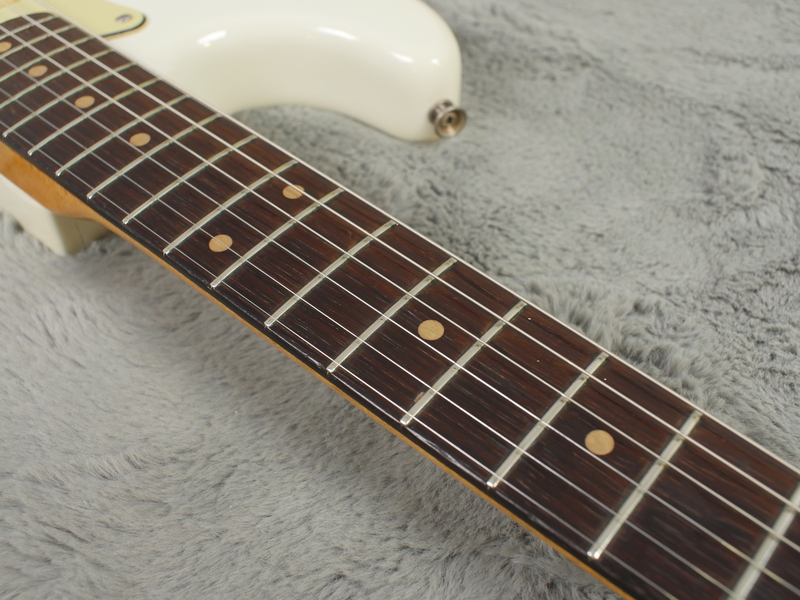 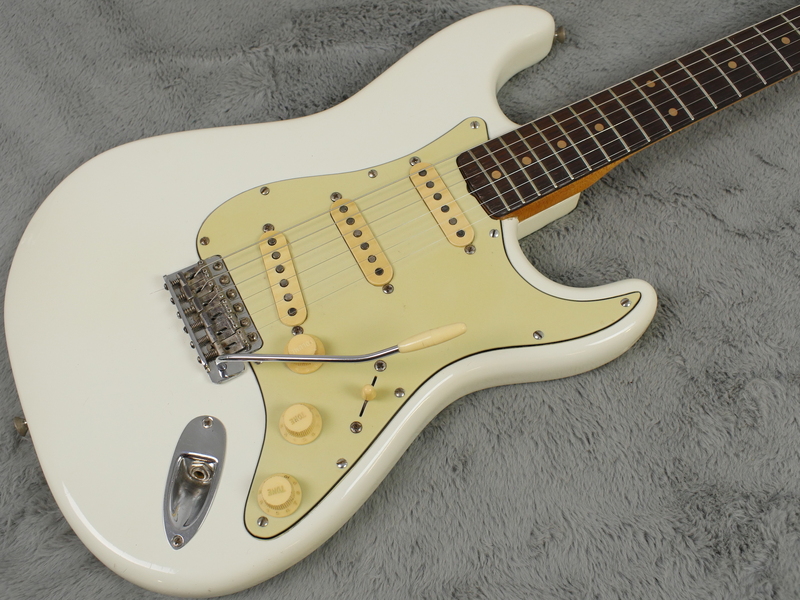 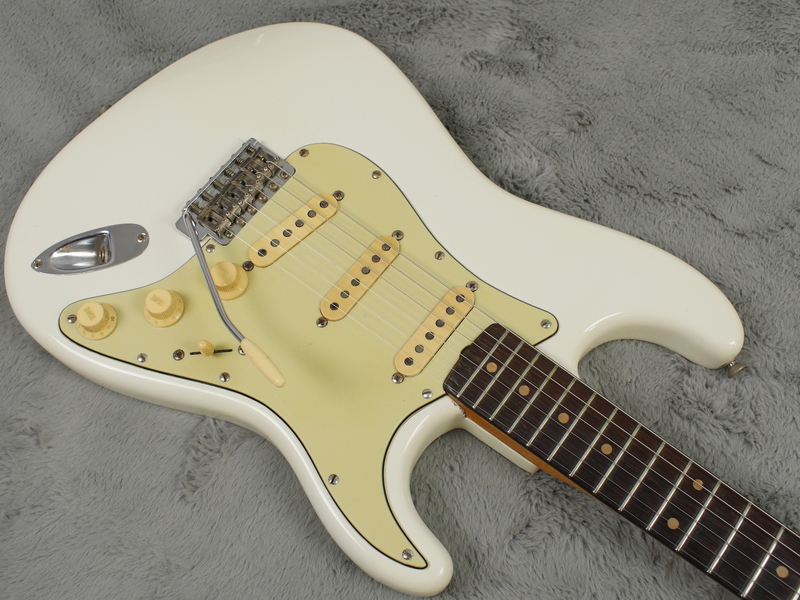 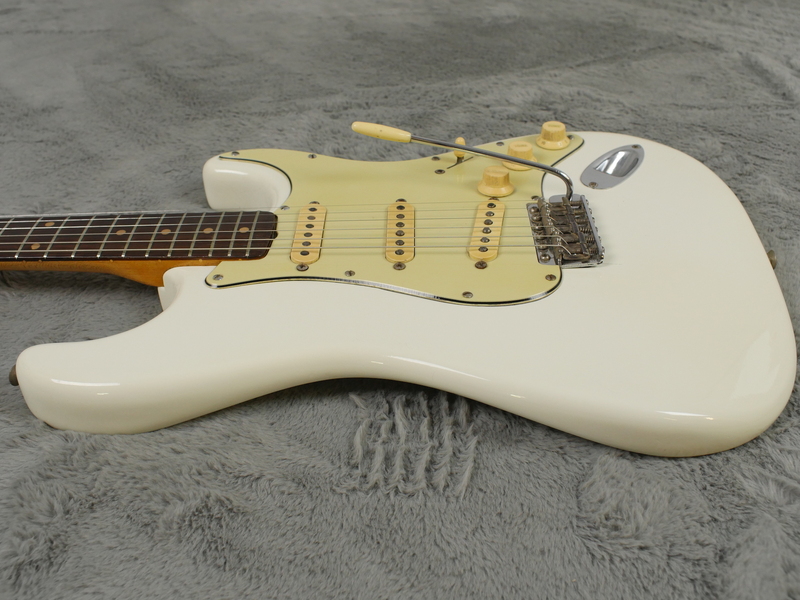 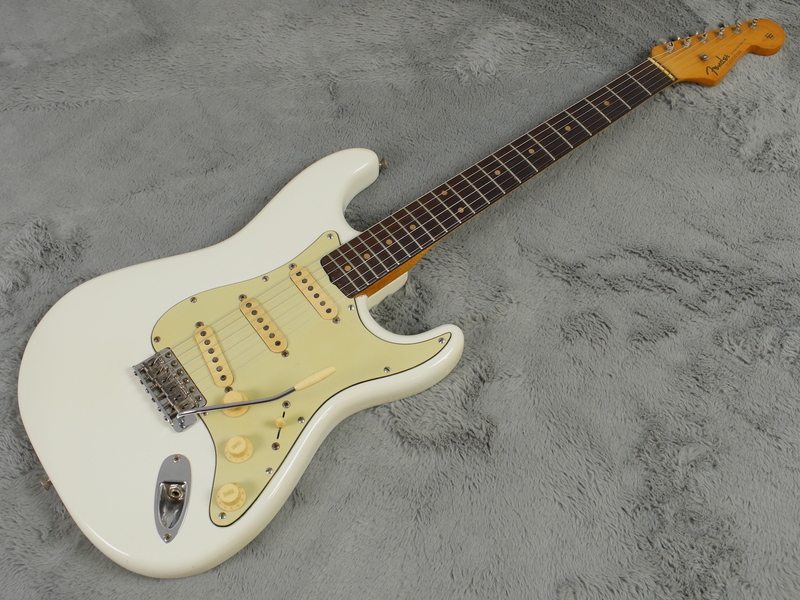 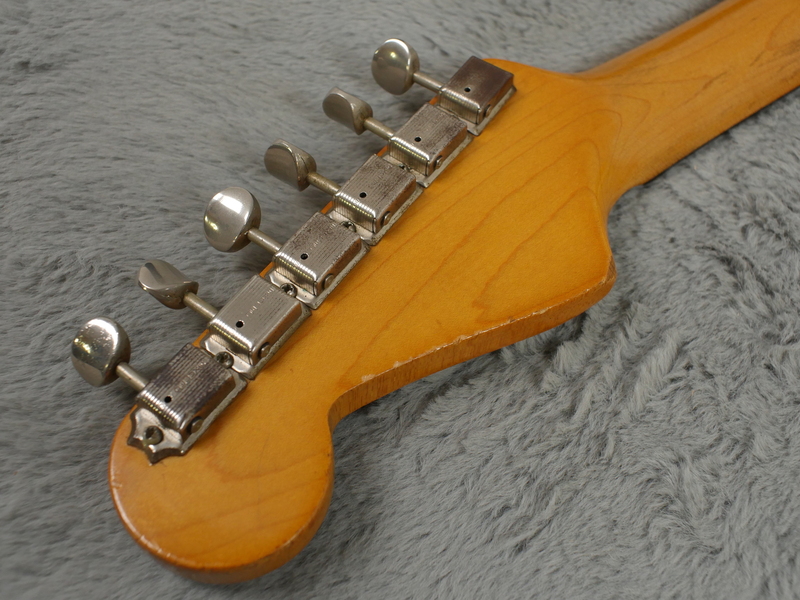 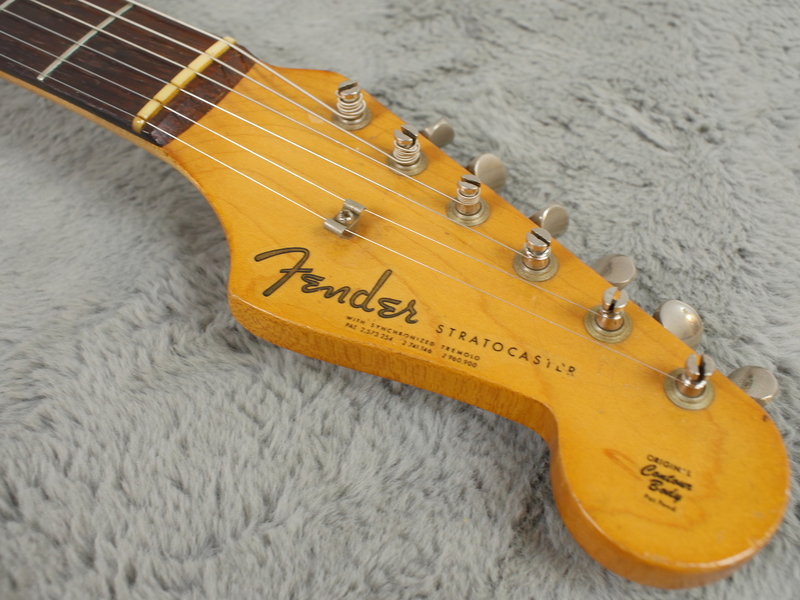 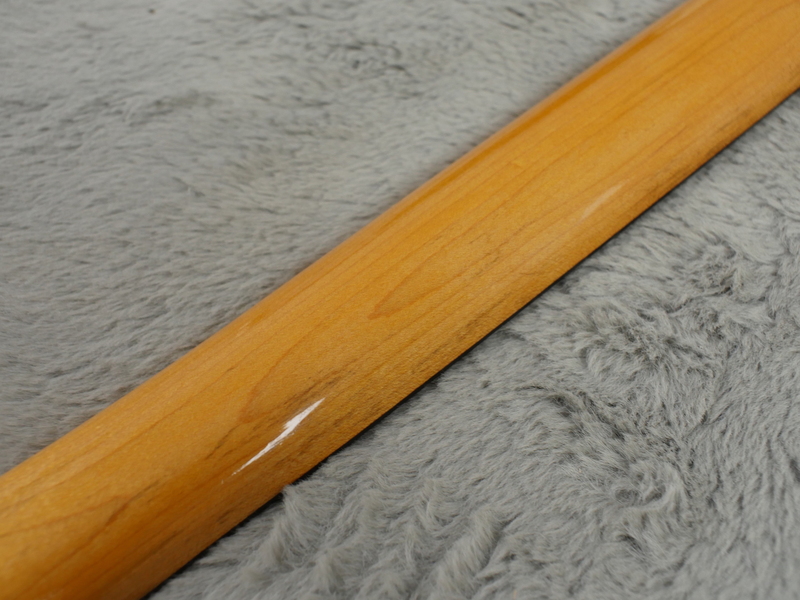 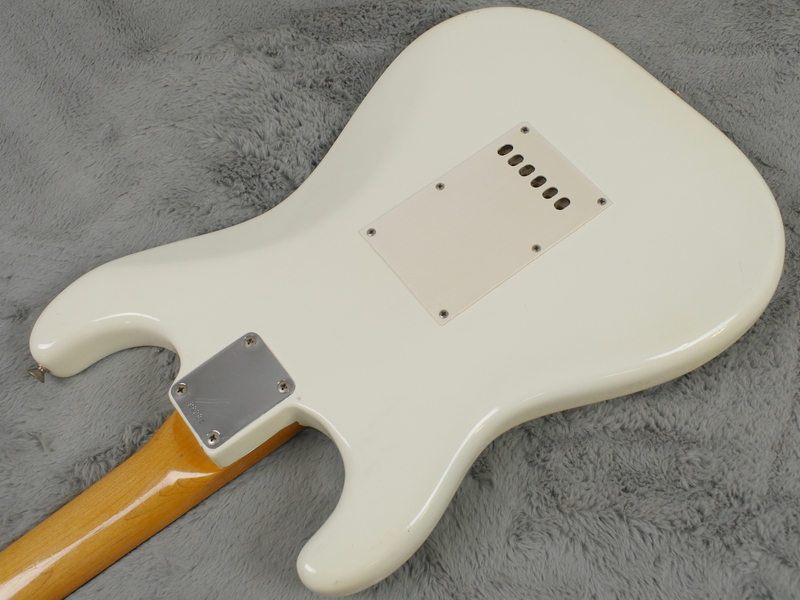 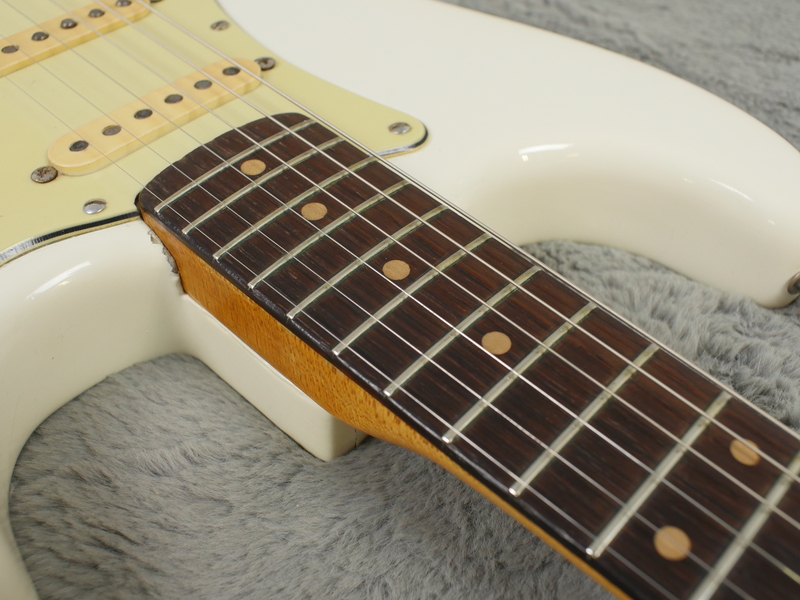 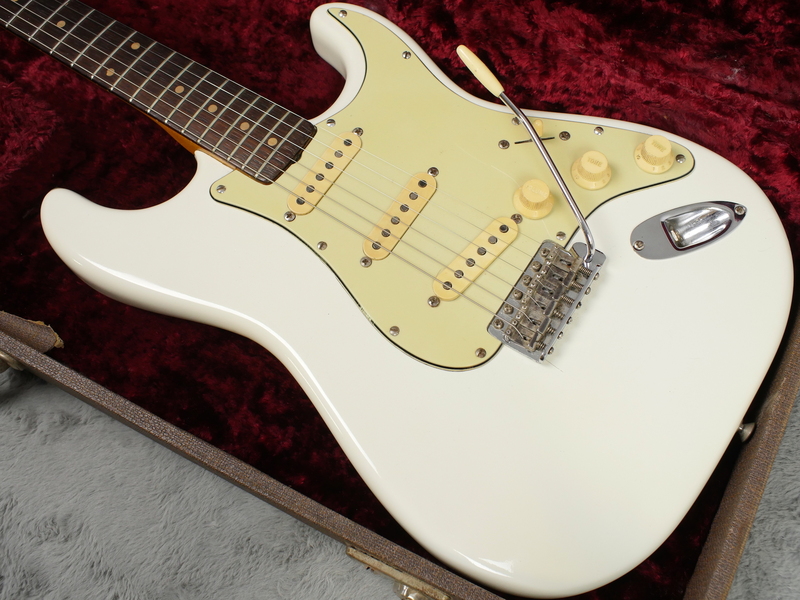 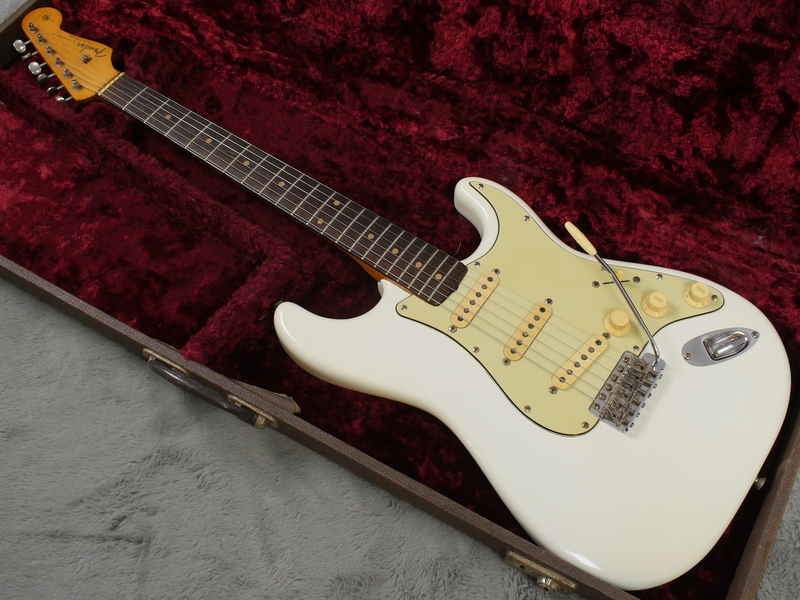 Old body refinish and back of neck overspray make this superb slab board 62 Strat a nice, relative bargain for those out there who love the slab but cannot quite stretch to the high teens original ones go for. 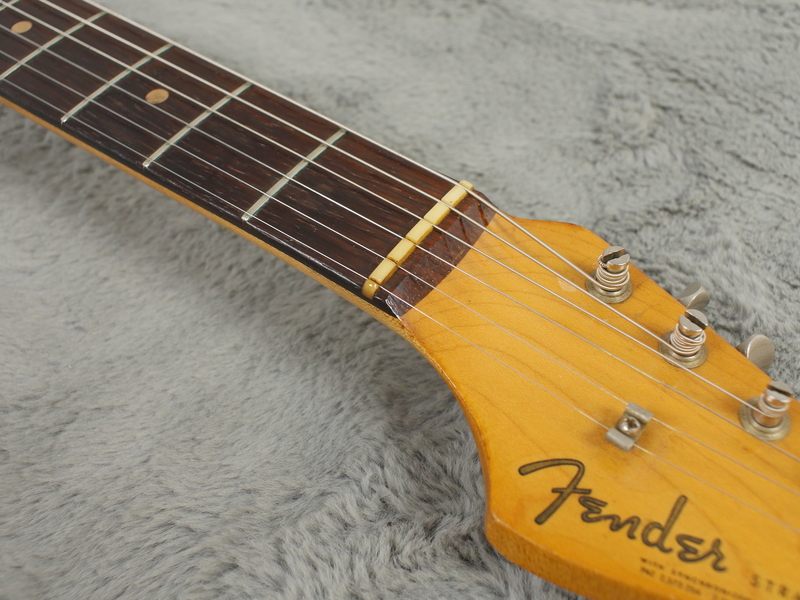 Bought recently from the son of the owner of at least the last 46 years, this guitar has spent most of its working life playing in the dance halls and working mens clubs of the Black Country/West Midlands in the UK and has a rather cool, played in vibe about it. 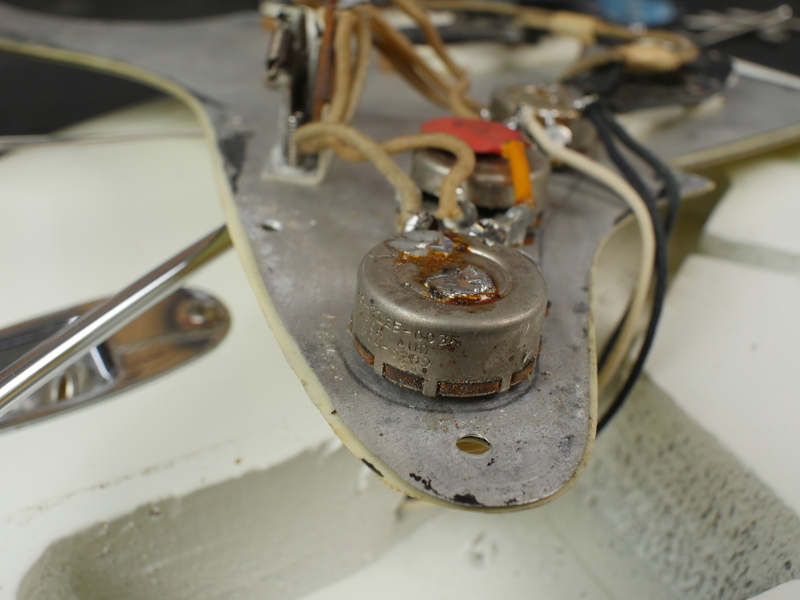 All electrics are correct except the wires to the jack socket have been replaced. 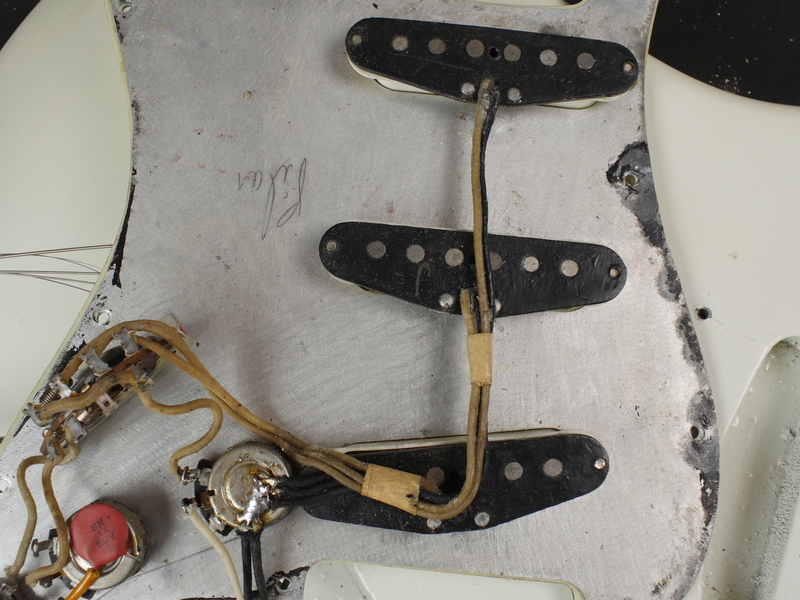 Three black bottom, pre-CBS single coil pickups with all original windings really sing in every position and all show healthy outputs. 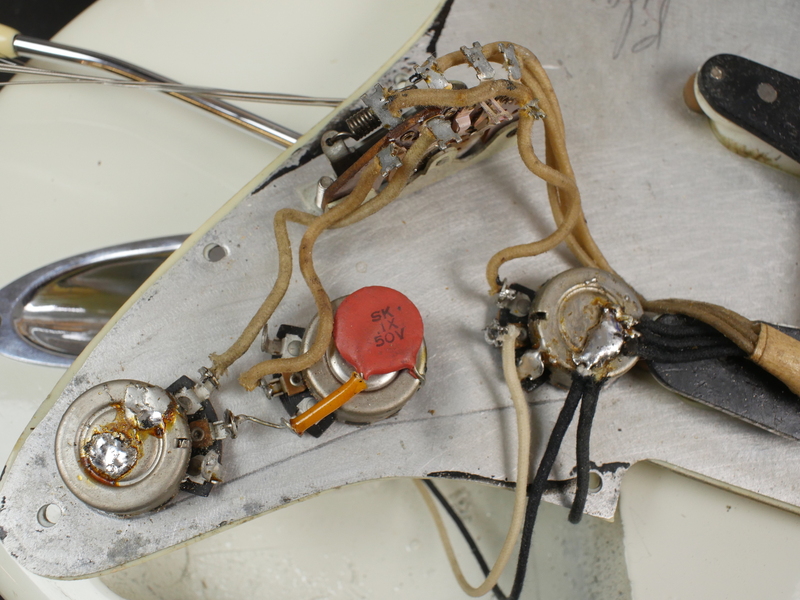 All three pots are original but there is evidence an extra ground wire has been on one of them as some stage. 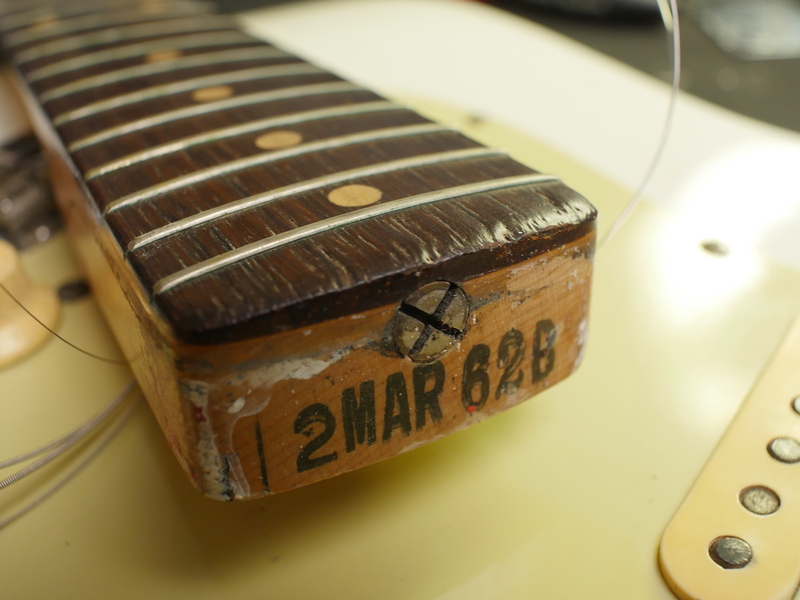 All correct plastics and crack free, correct green guard set the guitar off nicely. 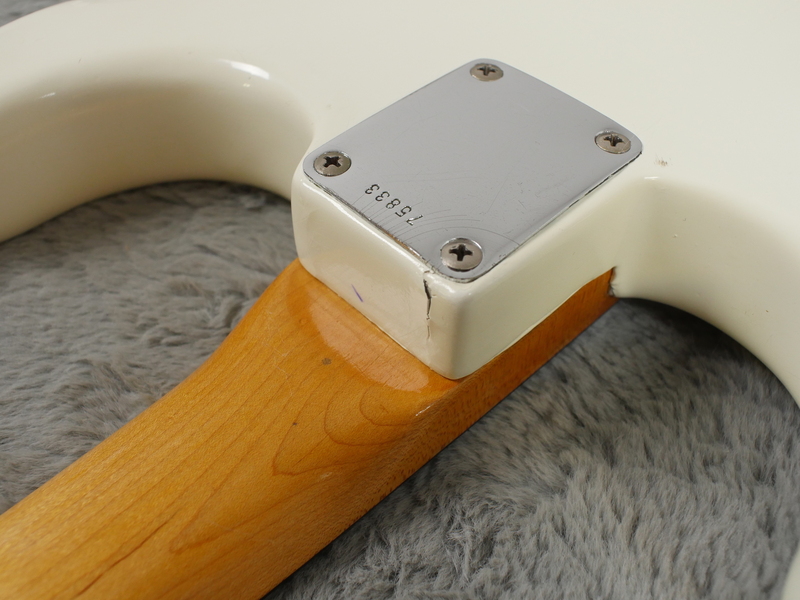 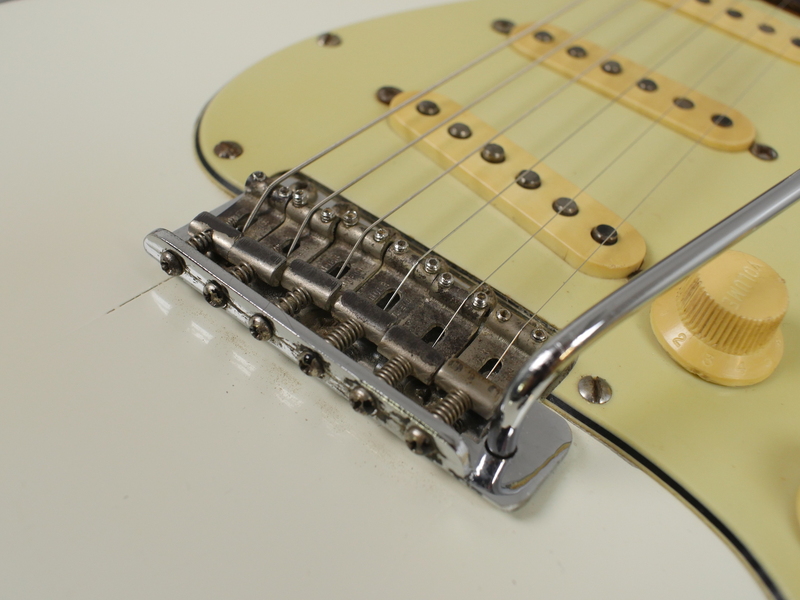 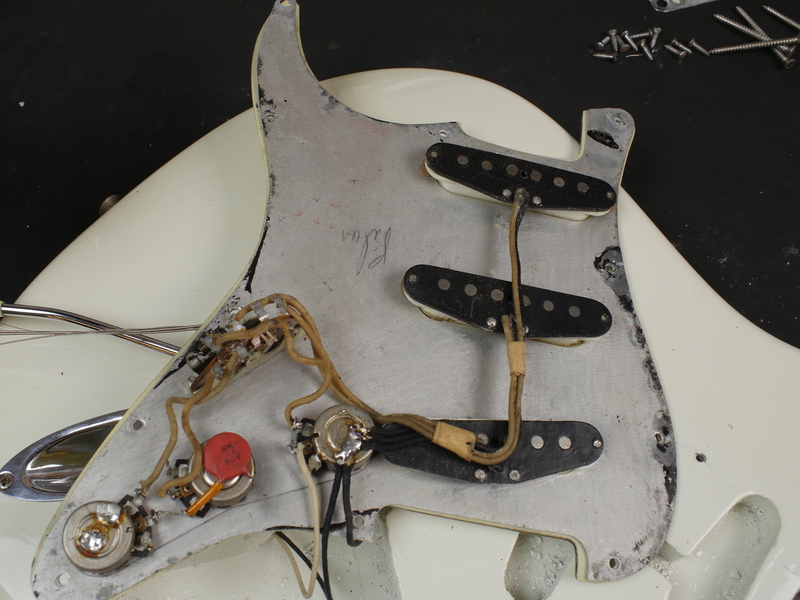 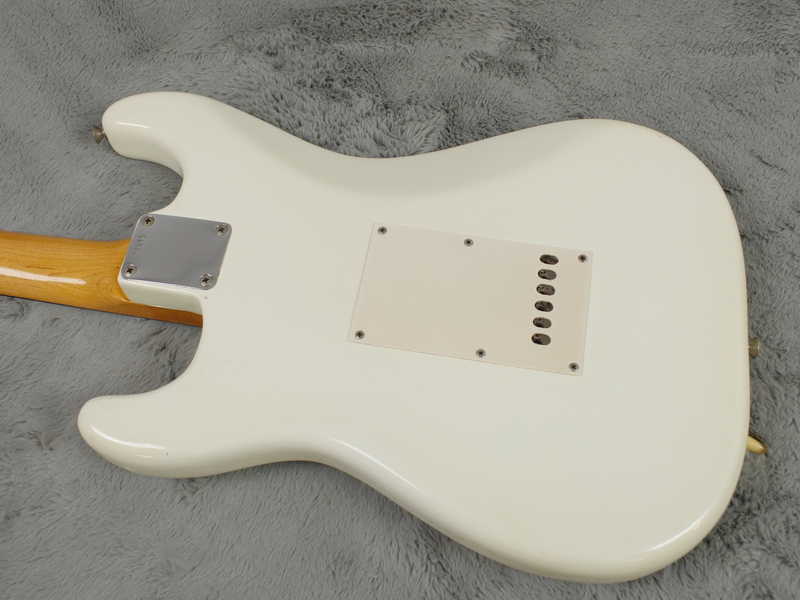 Correct hardware is all present too except the rear trem cover and the pickguard screws that have been replaced with old slot heads. 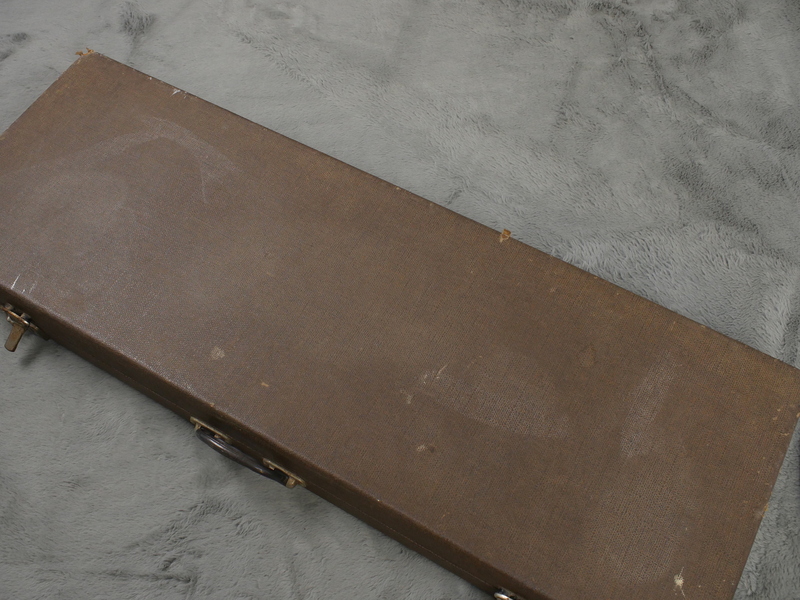 Case we believe, is original to the guitar when it was sold in the UK and is of the style of the Selmer / Jennings cases of that same period and probably supplied by the music store that originally sold the guitar. 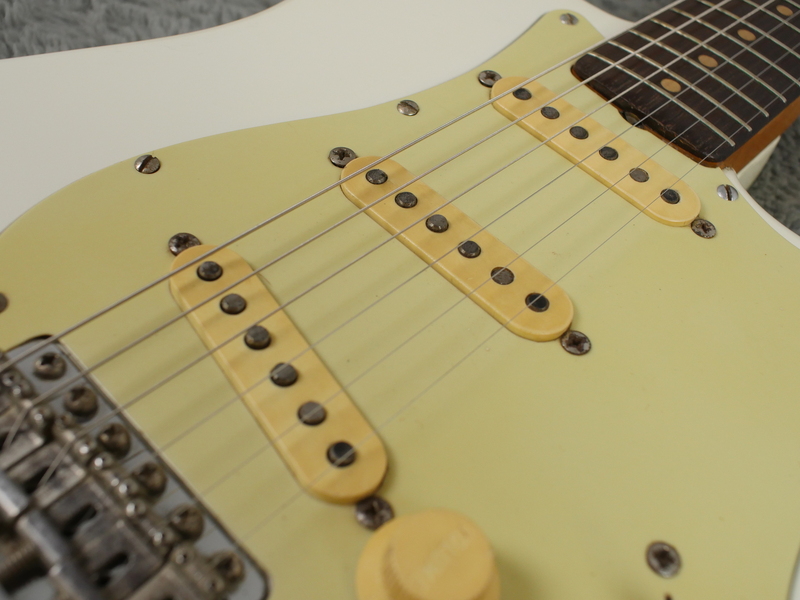 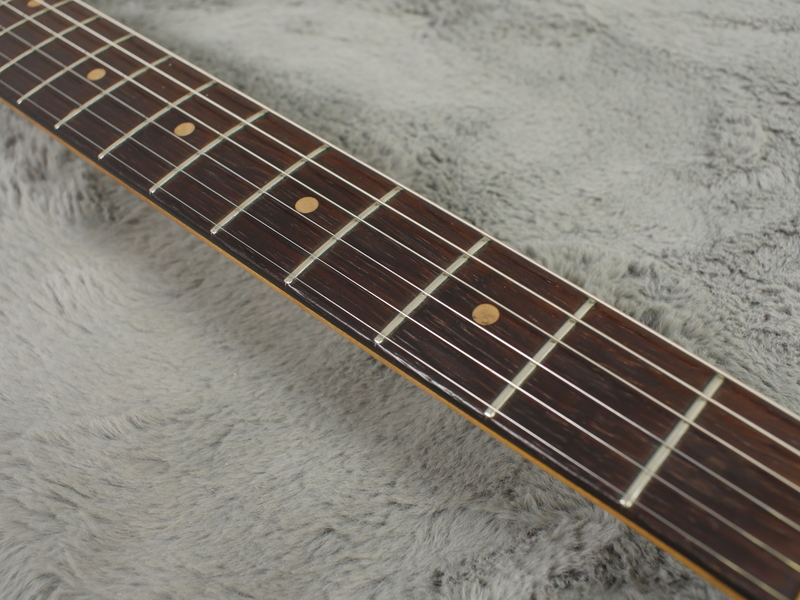 Frets are in good shape and only show a bit of wear in the first few positions. 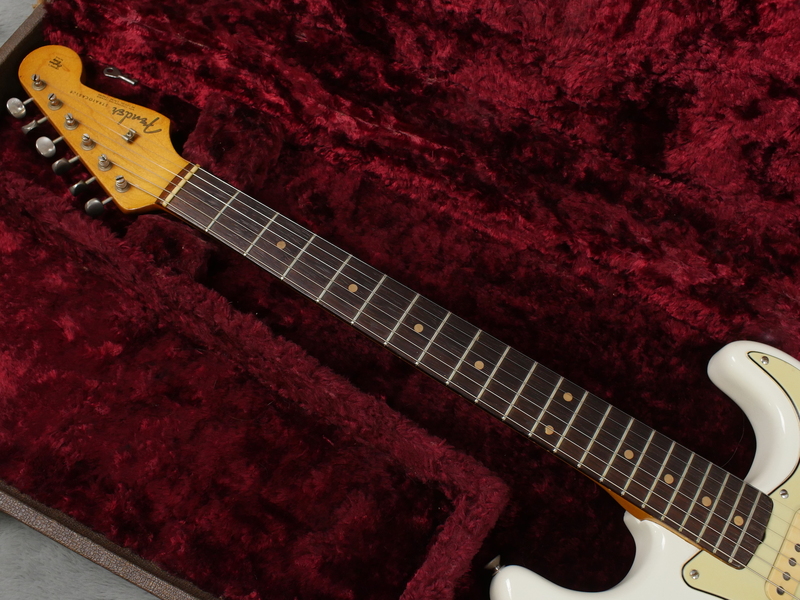 The son of the former owner told me his Dad only ever played rhythm guitar. 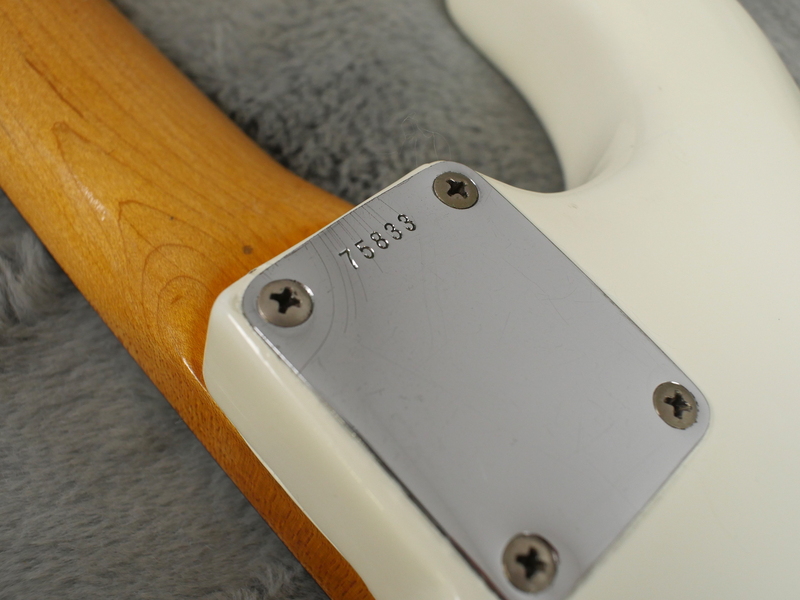 Neck date of March 1962, all pots date of 09th week of 1962 and serial number dates to around early ‘62 so you have some good matching numbers here, together with some provenance and like all the refins we list, we would not have bought this if we suspected it was a parts-o-caster like quite a fair few out there are!